50 Cent reportedly can't even withdraw that amount from his personal bank account after he has failed to pay a $17 million judgment against him. The 39-year-old hip hop star in April was ordered to pay Florida earphone manufacturer Sleek Audio nearly $4.5 million in attorney fees and $12 million in damages over a failed business deal. 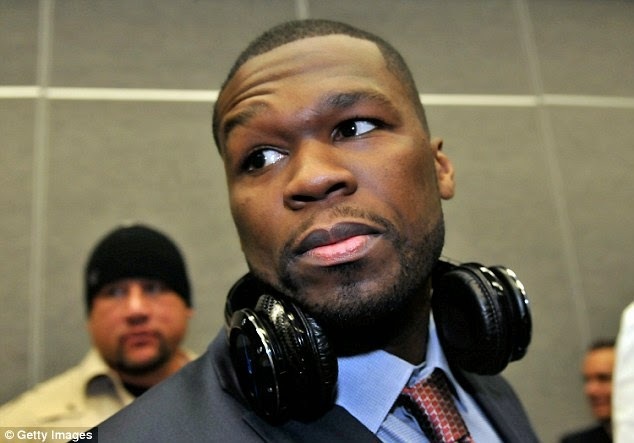 A source close to 50 Cent, real name Curtis Jackson III, said the rapper had complete access to his business accounts but his personal account was frozen, according to an article on Monday by TMZ. The US District Court in Miami affirmed the whopping award in late March after a three-year legal battle. Sleek Audio and Jackson had partnered to produce the rapper's line of over-the-ear headphones. The audio company in court documents accused Jackson of stealing the designs of the headphones he asked them to conceptualize and manufacture. Jackson has been selling headphones of a similar design under the 50-Over line with Florida manufacturer SMS Audio since breaking with Sleek in 2011. An arbitrator in July ruled against Jackson and damages in the case were based on SMS net profits over three years. Forbes business magazine in May estimated that Jackson has a net worth of $140 million. 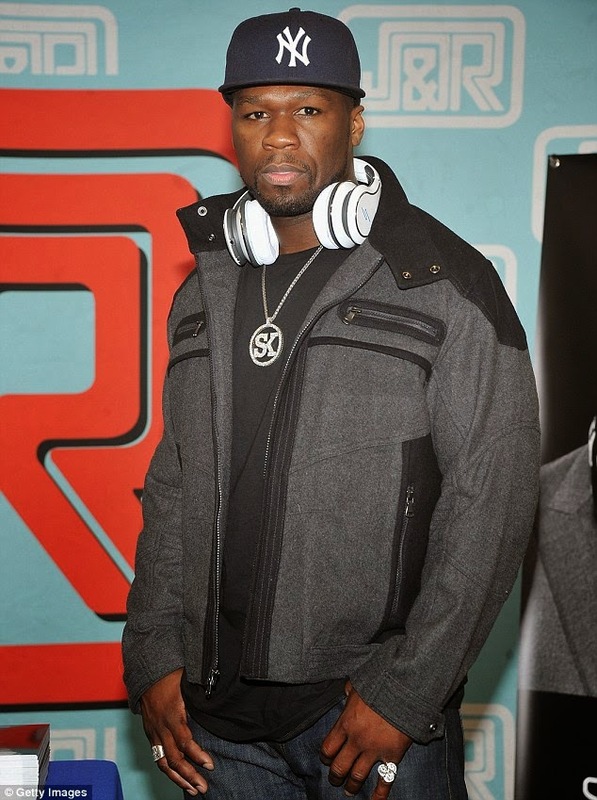 The rapper also has his own successful record label G Unit Records and a clothing company. He also worked with Glacéau on its vitamin water product and earned an estimated $100 million when Coca-Cola in 2007 purchased it for $4 billion. Jackson also has been cast in the upcoming Antoine Fuqua sports drama Southpaw that features Jake Gyllenhaal, Rachel McAdams and Tyrese Gibson. In a statement to MailOnline,the star's attorney Stephen J. Savva said: 'Mr. Jackson is currently in litigation with a company he invested millions of dollars in that refuses to pay a judgment he obtained against them in 2013. 'As has been previously reported, in 2014 an arbitrator issued a ruling against him which he is currently appealing in the Florida Courts. 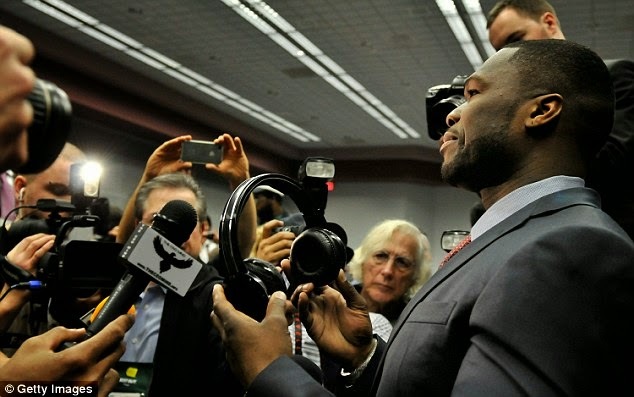 While this appeal is pending, the company has been desperately attempting to locate and restrain funds from any account it can find bearing the name "Curtis Jackson," whether or not those accounts actually belong to Curtis "50 Cent" Jackson.